The Games on Demand version supports English, French, Italian, German, Spanish, Polish, Russian, Japanese, Chinese. Download the manual for this game by locating the game on http://marketplace.xbox.com and selecting “See Game Manual". 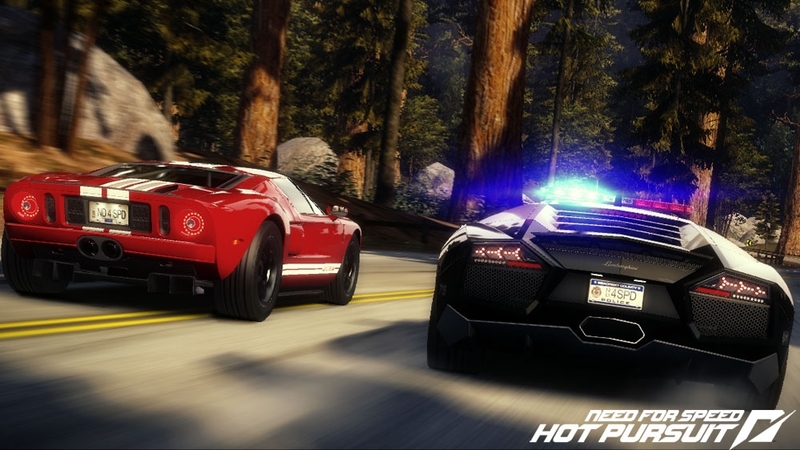 This November, Need for Speed Hot Pursuit will transform online entertainment for this generation. Criterion Games is redefining the meaning of cops versus racers by providing players with the opportunity to play a full career as either a cop or a racer, advancing through the ranks by accruing bounty.Players will experience stunning speeds, takedowns and getaways as they chase, battle, escape or bust their buddies.The innovative Need for Speed Autolog is poised to re-think head-to-head social competition by changing how people connect, how they communicate and how they play games with each other. Through Autolog, Need for Speed Hot Pursuit dynamically tracks and shares performance and stats so your friends actually drive your gameplay experience. 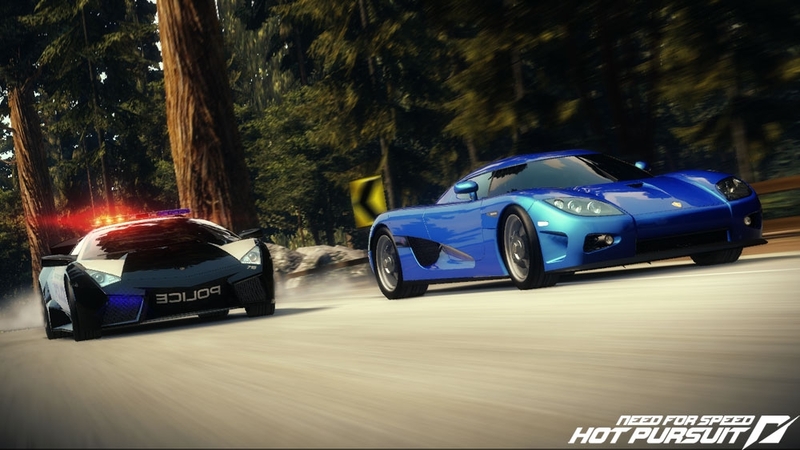 So, whether you’re online or offline, the connected experience is at the heart of Need for Speed Hot Pursuit. 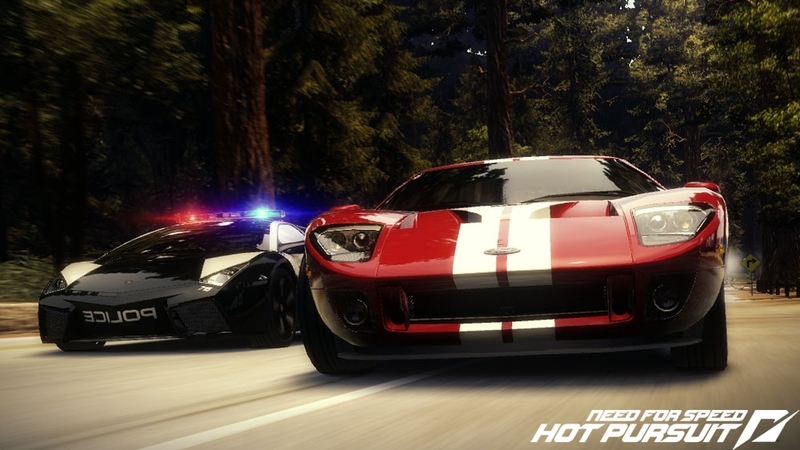 This trailer introduces three DLC packs for Need for Speed™ Hot Pursuit. Armed & Dangerous contains two new online game modes along with Lamborghini Untamed and Porsche Unleashed packs, each with 3 exclusive cars in SCPD and Racer flavors to chase or race on brand new Seacrest Country tracks. Need for Speed™ Hot Pursuit Porsche Unleashed Pack: The Porsche Unleashed Pack includes three very special Porsches, each one created to fulfil a very specific purpose – the power of the 1982 Porsche 911 Turbo, the speed of the 1988 Porsche 959, and the style of the 2011 Porsche 911 Speedster. It also includes ten new events to drive them in that will test your Racer and Cop abilities to the limit. The Porsche 911 Turbo was the top of the range Porsche between 1975 and 1989, making use of a powerful turbocharger and purposeful body design this Sports car will surely be causing trouble for any Racer or Cop that gets in its way. The Porsche 911 Turbo is available to both Racers and Cops and comes with two new solo events that are tailored to this car’s unique capabilities. This is your chance to drive the beautifully crafted and new for 2011 Porsche 911 Speedster. Only 356 examples of this powerful and stylish Supercar will be built by Porsche as a homage to the classic Speedster of the 1950’s. The Porsche 911 Speedster is available to both Racers and Cops and comes with two new solo events that are tailored to this car’s unique capabilities. This technologically advanced 80’s Supercar was created to win on the road, track and in rally. It was the fastest street-legal production car and remains one of the most sought after Porsches of all time due to its limited numbers and amazing performance. The Porsche 959 is available to both Racers and Cops and comes with two new solo events that are tailored to this car’s unique capabilities. The Diablo SV offers you an aggressive 90’s driving experience to rival that of the modern Exotics. With all that power from the immense V12 driving the rear-wheels this Diablo SV is a beast waiting to be tamed. The Lamborghini Diablo SV is available to both Racers and Cops and comes with two new solo events that are tailored to this car’s unique capabilities. This is your chance to drive the most iconic Supercar of the 80’s. This 5.2 litre V12 Countach has the power and the looks, do you have the skill? The Lamborghini Countach LP5000QV is available to both Racers and Cops and comes with two new solo events that are tailored to this car’s unique capabilities. Need for Speed™ Hot Pursuit Lamborghini Untamed Pack : The Countach LP5000QV has to be the most iconic Supercar of the 80’s. It has the power and the looks, do you have the skill? The Diablo SV is a rear-wheel-drive beast powered by a monstrous V12 engine that must be tamed and driven on the edge. The Sesto Elemento is a futuristic super-light-weight capable of reaching a speed of 100 kph in just 2.5 seconds. These new vehicles are available to both Racers and Cops, decked out in SCPD’s most current liveries and come with a total of six new events to test your Racer and Cop abilities to the limit. This collection includes four exclusive solo events and will give you a great saving over purchasing these cars individually. Drive the Sesto Elemento, revealed at the 2010 Paris motor show, and experience a defining moment in the future of super-light-weight Exotics. Weighing less than 1,000 kg this car can hit 100 kph in 2.5 seconds, leaving all other Exotics in the past. The Lamborghini Sesto Elemento is available to both Racers and Cops and comes with two new solo events that are tailored to this car’s unique capabilities. 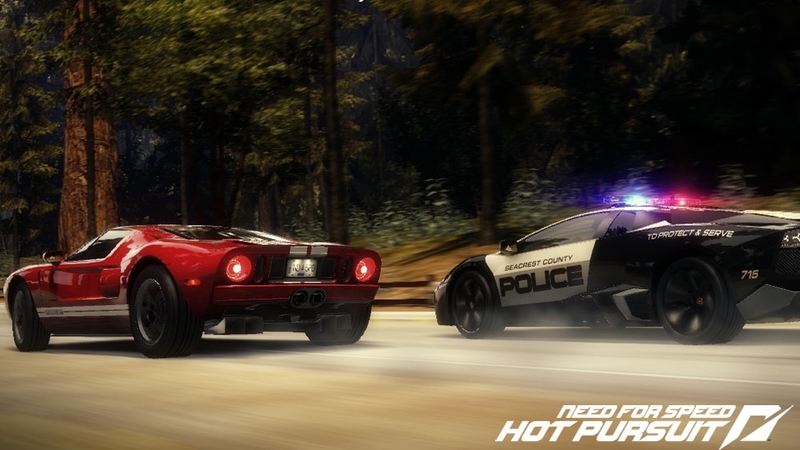 Need for Speed™ Hot Pursuit Armed and Dangerous Pack : Be the Most Wanted; the SCPD’s Number One target. Try to escape from a whole squad of Cops with only a handful of fellow Racers to protect you. Your team of Racers are free to drive anywhere in Seacrest County while the Cops must work together to bring the Most Wanted player to justice. Arms Race. Racers get dirty as they turn their weapons on each other. In a no-holds-barred trail of destruction, the Racers stop at nothing to take each other out and get to the finish line first. Download this free update! 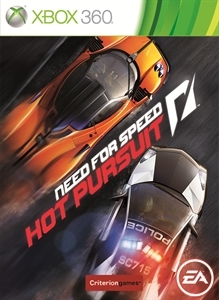 Get the latest game changing enhancements to your copy of Need for Speed™ Hot Pursuit direct from Criterion. 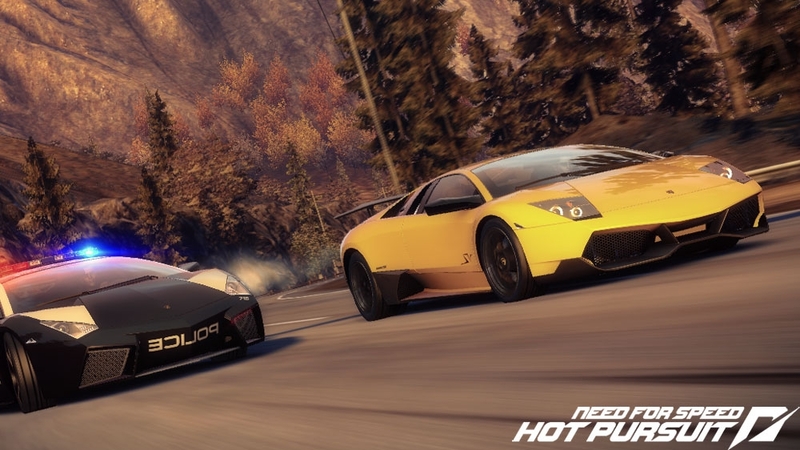 Download the Hot Pursuit Launch trailer! Light and Tight. Another sub-3 second 0-60mph vehicle with a top speed of 225mph. Whilst it can’t match the Veyron for outright speed, boy does it get to maximum velocity quickly and has the grip to match up against it’s larger rival. The GUMPERT apollo s is available to both Racers and the Cops and comes with three new solo events that are tailored to this car’s unique capabilities. Pairing the fastest production car in the world, the Bugatti Veyron 16.4 Super Sport with the unbelievably capable GUMPERT apollo s, this pack continues the Hyper Series (Racers) and the Special Response Deployment Unit (Cops). In addition you'll get access to the incredible Porsche 911 GT2 RS - pound for pound one of the greatest cars ever created. These new vehicles are available to both Racers and the Cops, decked out in the SCPD’s most current liveries and come with three brand new solo events each to go put them through their paces. This collection includes four exclusive solo events and will give you a great saving over purchasing these cars individually. The most powerful Porsche road car ever made striking an almost perfect balance between Grip, Power, Speed and Drift. The Porsche 911 GT2 RS is available to both Racers and the Cops and comes with three new solo events that are tailored to this car’s unique capabilities. The Fastest production car in the world is on the streets of Seacrest County. With 1,200 BHP this is the fastest car without nitrous assistance, but be warned, it needs a road surface to give it the grip it needs. The Bugatti Veyron 16.4 Super Sport is available to both Racers and the Cops and comes with three new solo events that are tailored to this car’s unique capabilities. Download the Hot Pursuit Wanted trailer! Download the Hot Pursuit Uncovered trailer! Download the first Autolog video, Settling The Score. Prepare to have your friendships tested! This November, cops are back in Need for Speed in a big way. Get ready for edge-of-your-seat, open-world pursuits in our most connected game ever.